Residual Asphalt Production - GlobeCore Bitumen Emulsion. Production of residual asphalt is one of the most simple and economic technology. To determine if a specific type of crude oil can be used for residual asphalt production, the yield of the material with penetration 100 by 0.1 mm at 25ºС must be assessed. Residual asphalt production is economically viable if product yield is 10-20%. Vacuum distillation materials, which consist of organic and heterogenic compounds, most often oil pitch, are used to make such asphalt. The quality of residual asphalt can be adjusted by changing the modes of the vacuum tower. Vacuum depth influence in the active tower zone, as well as presence of contact devices with low hydraulic resistance, which provide pressure difference across the tower no more than 15-20 mm. hg, influence the process efficiency the most. The pressure at the top of the tower is maintained at 20 mm. hg or less. Residual asphalt production is characterized by a significant reduction of paraffin naphthenic hydrocarbons due to their higher volatility compared to similar substances of the same group. Superheated steam is required to reduce the amount of paraffin naphthenic hydrocarbons in the asphalt and to reduce the temperature of residue distillation. This results in residual asphalt with high melting point. But this approach has certain limitations, such as additional costs and the corrosion of metals of which the equipment is made. This lead to emergence of an alternative method, the so called “dry” oil pitch distillation, which requires highly efficient vacuum systems. In general, vacuum technologies are quite promising in the production of residual asphalt, as they allow better oil refining. 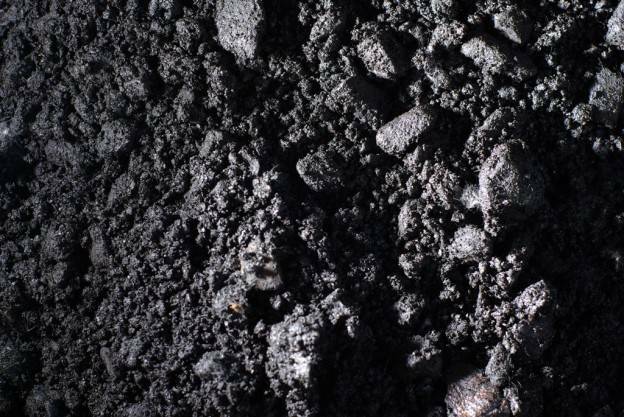 One possible raw material for residual asphalt production is highly resinous sour crude with high asphalt and resin content. It is very important to distillate fractions used for motor fuel production in the beginning of vacuum distillation. The byproduct of this process is tar which can then be used in production of asphalt. The residual asphalt production process makes it difficult to produce high melting point asphalt, which is a significant limitation.